As you probably heard, sports anchor Stuart Scott died of cancer over the weekend. The immensity of Scott's love for his daughters is palpable in this ESPY award speech. He calls his girls his "heartbeat." Like almost every parent, I can relate. And watching this (just fair warning), I cried big, ugly tears. A reminder that even though cancer research has come so far, we still have miles to go before we sleep. Here is some of the research I've seen over the past few weeks. If I've missed anything over the holidays that you think should be included, please send me an email and I'll add it next week. Now that I'm done stuffing myself with gingerbread and dark chocolate candy cane bark, I have time again for sifting through articles online. Because, ahem, THAT CANDY CANE BARK WASN'T GOING TO EAT ITSELF. 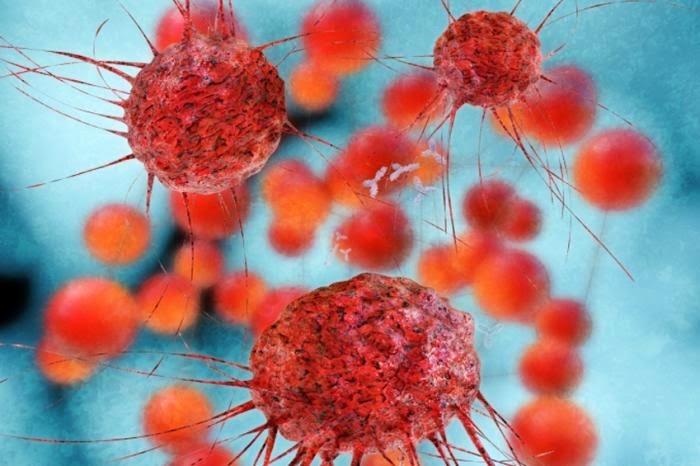 "For the first time, a study shows that breast cancer cells process zinc isotopes differently to normal cells - leading researchers to suggest this might be a way to detect the cancer early." 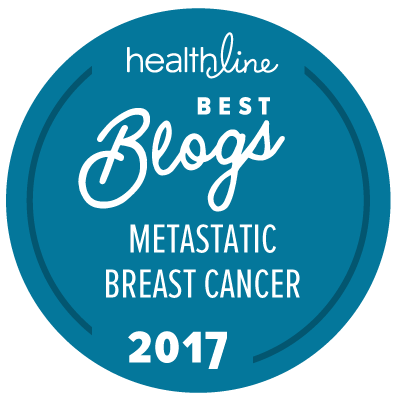 "The results show that the 10-year survival for HER2-positive breast cancer patients who received chemotherapy without Herceptin was 75%, whereas for those who also had Herceptin, it was 84%." "We found that adding either carboplatin or bevacizumab to standard preoperative chemotherapy increased pathologic complete response rates for women with basal-like cancers -- that is, it increased the proportion of women who had no residual cancer detected at surgery." "A new combination of cancer drugs delayed disease progression for patients with hormone-receptor-positive metastatic breast cancer, according to a multi-center phase II trial. 'Because the study showed a statistically significant benefit among patients whose disease progressed on an aromatase inhibitor, a larger phase III study comparing this combination to other approved therapies used after initial therapies fail, like exemestane and everolimus, should be done.'" "The study assessed the feasibility of three different regimens targetting HER2 in people with previously untreated (first-line) advanced HER2-positive breast cancer. Patients enrolled in the study received one of the three composites: Kadcyla (ado-trastuzumab emtansine) plus Perjeta (pertuzumab), Kadcyla alone, and Herceptin (trastuzumab) plus either docetaxel or paclitaxel chemotherapy. Results from MARIANNE trial showed that all the three regimens were feasible in progression-free survival (PFS) for a similar amount of time." Notably, breast and prostate cancer were NOT included in this particular study. So the jury's still out as to whether those might be controlled by environmental factors. "In a groundbreaking paper published in Science, the duo describe a new factor, a tissue’s stem cells, that may explain as much as two-thirds of the difference in cancer risk among different tissues." In case it's not obvious, I'm in total agreement with Ms. Schattner on this one. No amount of whisky could ease the pain I would feel if treatment wasn't an option for me. There were other great articles countering Mr. Smith's blog post -- if you're interested, here are a couple that resonated with me. "The image of a person retching or in pain, afraid to ask questions of his doctor and not being offered palliative care is outdated by several decades. We know very little about spontaneous remission except that it's extremely rare. Most doctors refrain from mentioning it to avoid giving false hope to patients. But the allure is undeniable. Scott. I can well imagine the depth of your sorrow with the fears and "what if's" that makes you feel such empathy and compassion for him and his daughters. sending my condolence, my thoughts for his dear family and friends for them to be enfolded in so much love. Jen, I can't thank you enough for all the news from the web about so many timely issues. and I am so darn proud of you. you have such a busy life, and at times, one that is complex and quite demanding. but just thinking of all the time and effort and writing these posts and knowing you are helping legions of others to offer great information as well as hope is so inspiring, so admiral. and I do think giving of yourself in this way not only helps our community, but is also a marvelous way for you to render self care as well. this god-awful disease and it's gutting effect upon us lets us (you) back away a bit from the inevitable intrusions that cancer levies upon every fiber of our being. but when we are immersed in efforts to help others,to offer hope, to provide support in the manner you do so very well. it's helps us get outside of ourselves and be able to have a break from our own worries ad concerns. I wish you continued fulfillment with your advocacy and give you my heart felt thanks. and any woman who takes full advantage to keep dark chocolate candy cane bark from going to waste is definitely a hero in my book!